Aris and Natascha are very active people and with their children who grew up in the hotel a happy family. They love their life in Plakias, although their are not born Cretans. 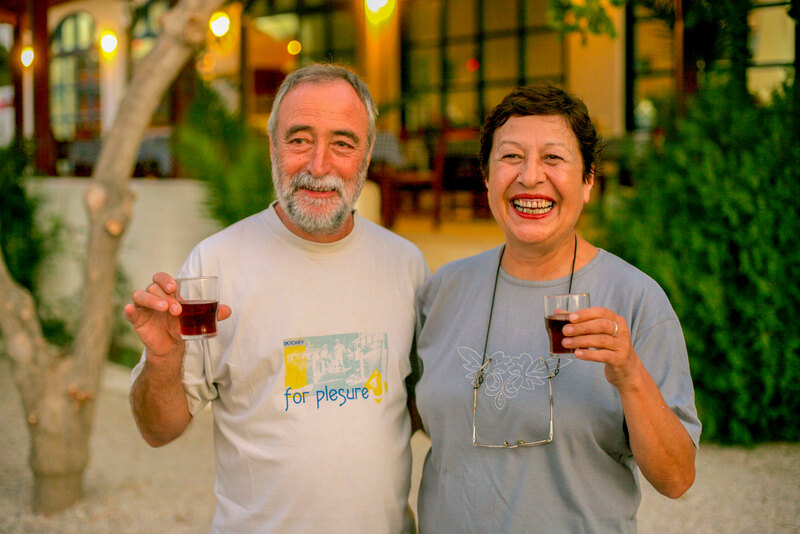 Aris and Natascha spend their time in the vineyard, which they cultivate with traditional techniques and a wide variety of Cretan wine types to produce excellent biological wine. Moreover, they love fishing and you can often see them on a boat or at the sea. 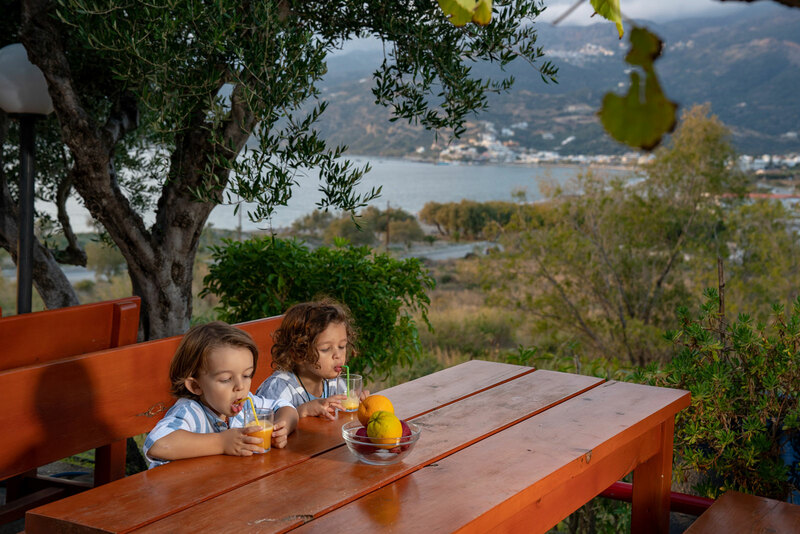 Klearchos and Giangkos, who has got his own family with Desiree, follow their footsteps and have taken over the management of the hotel. No doubt that they stick to the traditional familiar atmosphere and the close contact to the guests in which they have grown up. The hotel which was built in 1984. 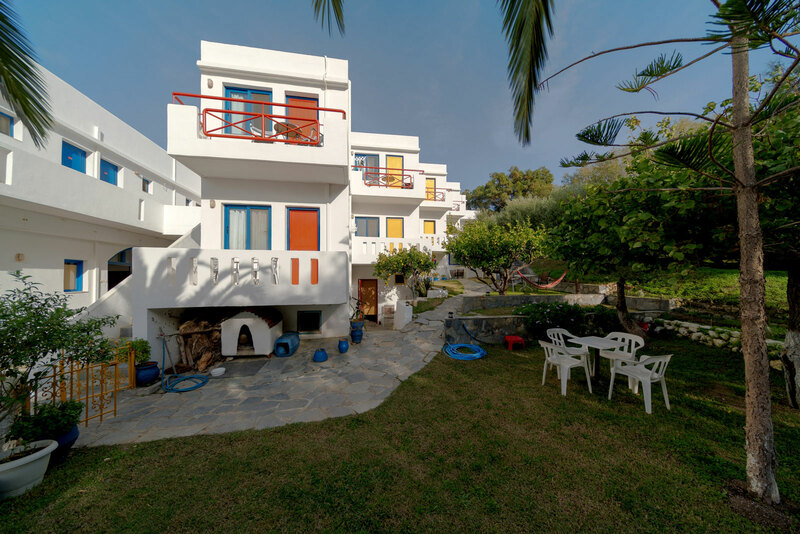 Although high quality accommodations and hospitality are a standard in the region, the Plakias Bay Hotel offers from its early beginning an alternative way of tourism combining total relaxation and safety with the activities the area offers. The Plakias Bay is just a bit more than a hotel in Plakias as you can experience Plakias as a whole. Doing one day whatever you wish not what you have to..that is what holidays are about. Enjoy the sunset in the cool garden before dinner with a refreshing soft drink served by the staff (Giangkos, Klearchos and others) or try out Aris' wine made out of old Cretan types (his vineyard is his great passion). In front of you the sun is getting redder and slowly setting into the sea. The lights in the villages around are lighting up one after another. From the beach voices of children still not getting enough of playing, a fishing boat on the sea, goat bells ringing in the mountains, chattering of birds discussing the nests for the night. Peace of mind. It is getting night. At night everything is calm (except for the sea and Babis our dog, who does its duty by chasing invisible enemies).No traffic, no noisy people, no bars, nothing at all. The kids have gone to bed and parents are chatting relaxed with a drink. Some guests are playing cards or backgammon. Holidays pass by so quickly.